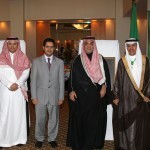 The Saudi Arabia’s chargé d’affaires Reda Al-Nuzha, The Saudi Consul in Canberra Dr Hassan Alansari, ,Saudi Culture attaché Abdul-Aziz Bin Taleb , Mr. Faisal Ghazi Hifzi First Secretary received the guests at the 82nd celebration. 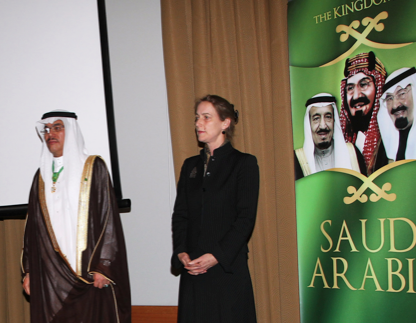 The Charge D’Affaires of the Saudi Embassy in Australia, H. E. Reda Al-Nuzha held a reception at the Hayat Hotel in Canberra on the occasion of the 82 National Day of the Kingdom of Saudi Arabia . The ceremony was attended by a crowd of public and political figures, members of the House of Representatives and the Federal Senate of Australia, Ambassadors from Arab, Islamic and foreign Countries, accredited in Canberra, as well as Arab and Muslim communities representatives in Australia. 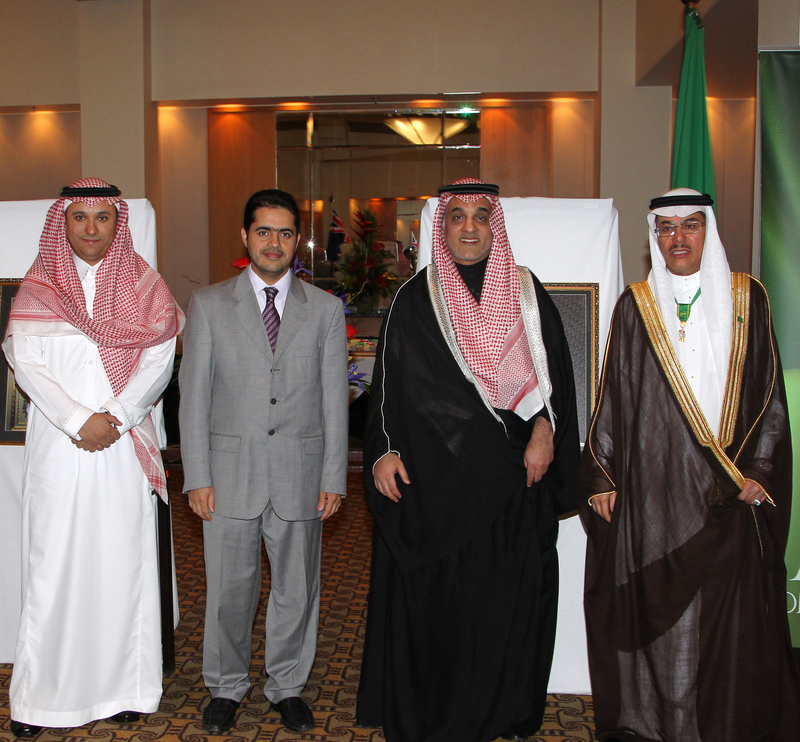 The guests of the celebration where received by the Saudi Arabia’s chargé d’affaires Reda Al-Nuzha, The Saudi Consul in Canberra Dr Hassan Alansari, Mr. Faisal Ghazi Hifzi First Secretary,Saudi Culture attaché Abdul-Aziz Bin Taleb . 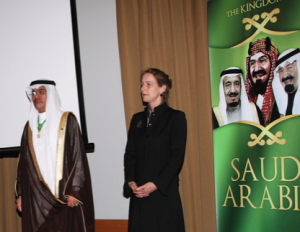 The ceremony began with the Australian and Saudi National Anthem then the chargé D’Affaires of the Embassy of Saudi Arabia H.E. Reda Al-Nuzha and the Chief of Protocol Sally Mansfield, exchanged the warmest congratulations and best wishes for both countries. 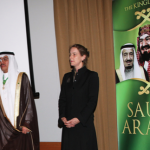 Messages of the Prime Minister Julia Gillard and Foreign Minister Bob Carr were read on the occasion, underlined the strength and depth of Australia -Saudi Arabia relations. Prime Minister Gillard Values Australia Saudi cooperative relationship, “Australia greatly values its friendly and cooperative relationship with Saudi Arabia, underpinned by our shared commitment to peace, stability and development in the Middle East. Australia also values its close cooperation with Saudi Arabia in key international bodies, including the United Nations and the G20.” MP Said in her Message. The Australian Foreign Minister Bob Carr, praised in his message the Kingdom leaderships standing in the world and the positive development of bilateral relations shared between the two countries on regional and international level, noting in particular the cooperation in the Group of Twenty and other international forums to serve the issues of stability, peace and development in the world. In his part the Charge D’Affaires convey his best wishes and congratulations to the Custodian of the Two Holy Mosques King Abdullah Bin Abdul Aziz, the Crown Prince His Royal Highness Prince Salman Bin Abdul Aziz, the Saudi Government and Saudi people . Mr Nuzha expressed his thanks and appreciation to the Australian Prime Minister Julia Gillard and Australian officials and Australian people towards the Kingdom, leadership and Saudi people on the occasion of National Day , which reflects the growing and positive development in Saudi- Australian relations.